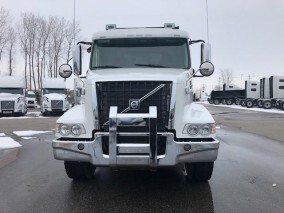 The Safest Volvo Trucks for Sale in Windsor Yet | News | 401 Trucksource Inc.
Safety has always been the most important consideration in the manufacturing of all Volvo Trucks. Volvo is committed to keeping the driver and those they share the road with safe, and they continue to innovate with new and improved safety features in all new Volvo Trucks for sale in Windsor. 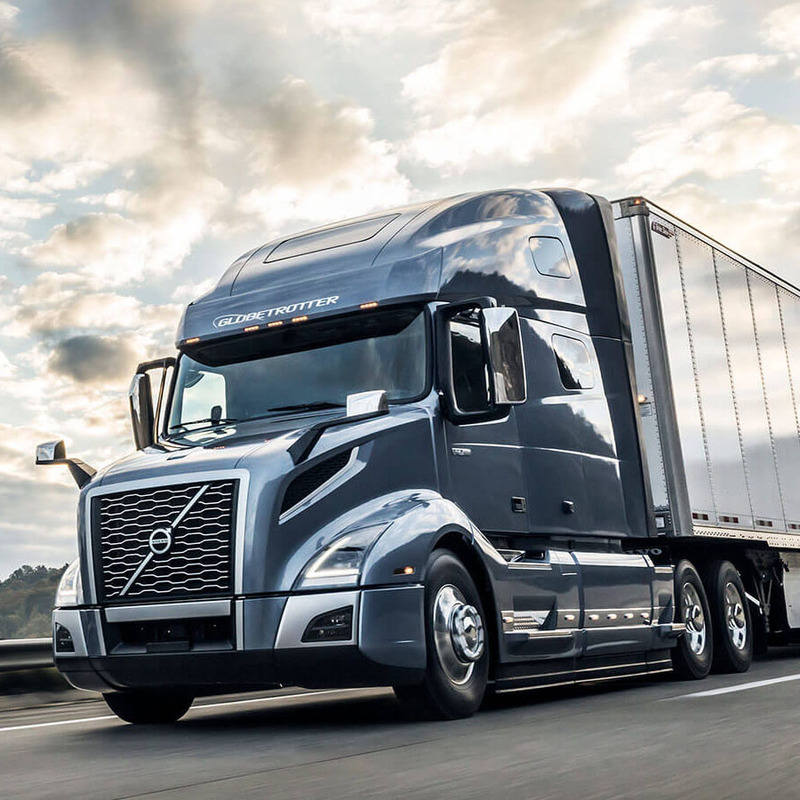 Volvo’s goal is a future free of truck accidents, and at 401 Trucksource we are excited to be an authorized Volvo truck dealer in Windsor and to be able to offer a complete lineup of Volvo truck models with the newest safety features. Among the great new safety innovations in the latest Volvo trucks for sale in Windsor is the forward collision alert system. This safety system gives the driver a clear visual display if they are getting too close to the vehicle in front of them so they can react sooner and avoid an accident. Studies have shown that rollovers and front end collisions account for the majority of commercial vehicle accidents, and with Volvo enhanced stability technology and Volvo Active Driver Assist, they continue to work to mitigate these accidents and to give the driver more tools to stop a problem before it starts. The new Volvo trucks for sale in Windsor at 401 Trucksource also exceed the standards for the Swedish Cab Safety Test, one of the toughest impact tests in the world for trucks. 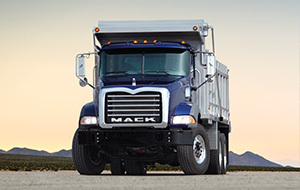 These vehicles are designed to keep the driver as safe as possible in the event of a collision, and they better protect the driver thanks to high strength steel construction for the entire cab. Safety is just one of the ways that the newest Volvo trucks in Windsor at 401 Trucksource help to provide the best driving experience available. Volvo is at the forefront of combining power and fuel efficiency, letting you haul what you need to and saving you money in the process. They also continue to provide more comfort features that not only give the driver a more enjoyable ride whether it’s on a long or regional trip, but also helps them focus on the drive by minimizing discomfort and distraction. 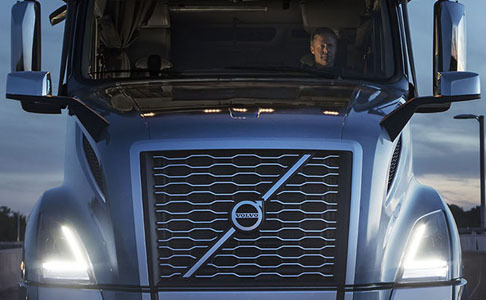 Volvo is committed to keeping drivers safe, and at 401 Trucksource, we are proud to sell these great new Volvo trucks and helping drivers learn about all of the advantages that they offer. Our Windsor Volvo trucks sales experts can help you learn more about all of the great safety features in the newest Volvo trucks for sale in Windsor, along with all of the other innovations that help these vehicles give you the power, comfort and flexibility you need to get the job done. We also have extensive leasing and financing options to help you get a new Volvo truck with terms that make sense for you and your business. To learn more about the Volvo trucks for sale in Windsor and all of the great features that will help you stay safer day in and day out on the road, contact our Volvo sales representatives today. 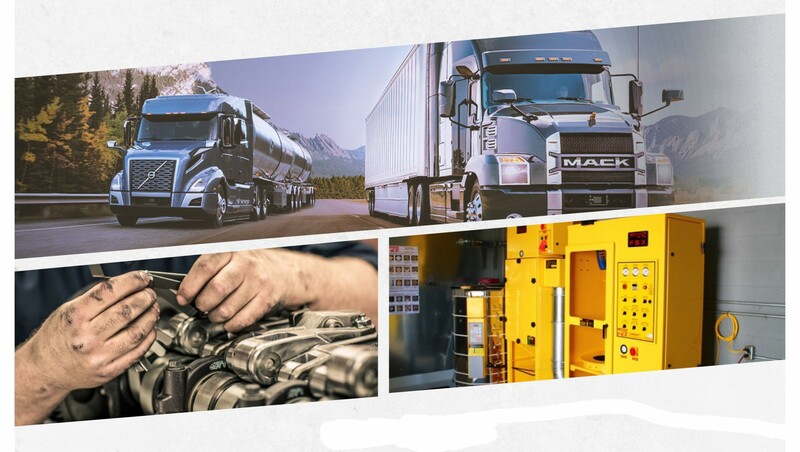 They have the experience and knowledge of Volvo’s complete lineup of new trucks for sale in Windsor to help you find out everything you need to know and make the right decision about your next truck. Call out Windsor office to today at 519-737-6956 or email us to find out more or to get started.